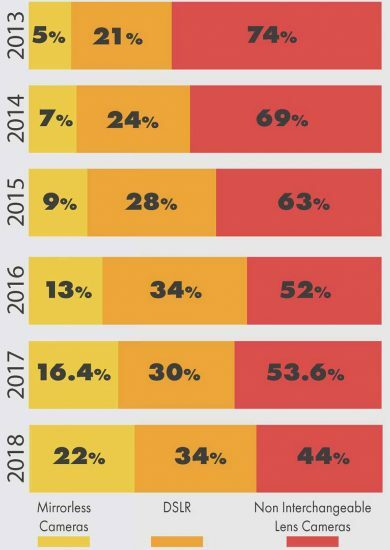 The bottom line is very bad though. 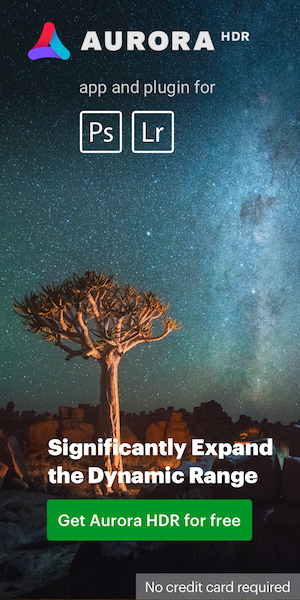 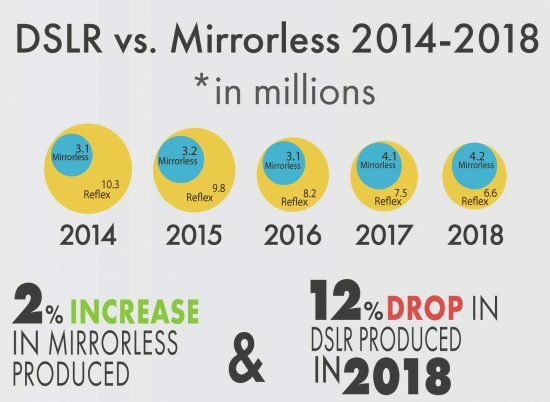 we are below 20 million units per year and mirrorless cameras don't gain as much traction as you might think (2% increase per year vs. 12% decrease in DSLR). 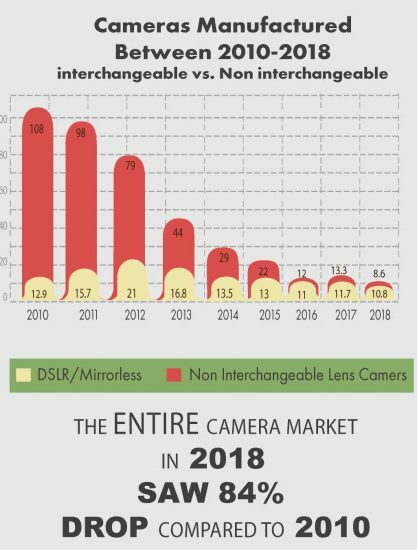 For the first time, interchangeable lens cameras surpassed the sales of compact cameras (not surprising, to be honest). If you look at the entire decade you see an unbelievable drop of 84% from 2010 to 2018 in the number of cameras sold/made per year. 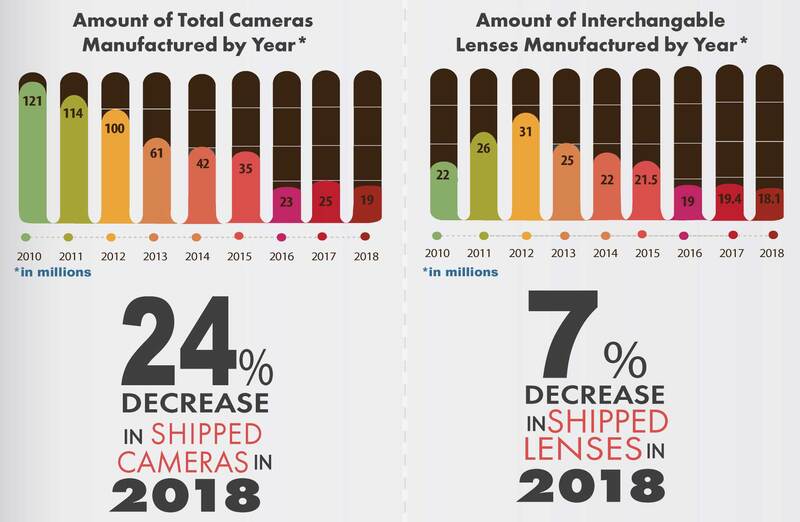 The lens market is also going down (except interestingly in the Americas where you have a small increase). Maybe the most important thing and something that we have been looking at for the first time is prices (it isn't a direct number - CIPA gives the number of cameras/lenses and the amount of money these products were sold for - but it is not clear sold to whom - since the manufacturers do not sell directly to people and there are sometimes a lot of middle man in between).